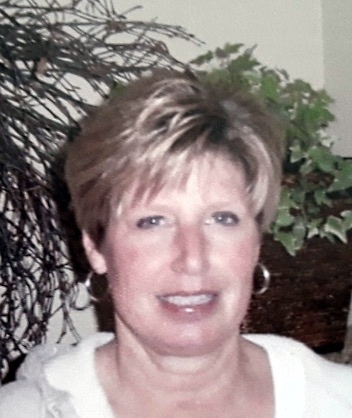 Marcy Ann Lane, 68, of Jerseyville, died Tuesday, January 8, 2019, at Evelyn’s House in Creve Coeur, MO. She was born October 13, 1950, in Alton, to Morris and Joan Campbell (Plummer), the second of ten children. She is survived by three children, Jeremy (Jodie) Stendeback of Morton, IL, Camey (Steve) Tinnon of East Alton, IL, and Drew (Kelly) Stendeback, of Wood River, IL; eight sisters, Cindy Zipprich, Jan Campbell, Dottie Campbell, Pris Kanallakan, Angie Campbell, Tina Hybbert, Kary Baalman and Michelle Campbell; one brother, Jeff Campbell; eight grandchildren, Matilynn Hill, Ethan and Caden Stendeback, Ian Conrad, Mitchell Calvin, Stevie and Bosten Tinnon, and Lilly Stendeback; and sixty one nieces and nephews. She was preceded in death by her father Morris and her mother Joan. She was raised in Grafton until the she was eight, then moved to Kampsville. She attended Calhoun High school where she graduated in 1968. She moved around many times throughout her life, mostly in Illinois, but also lived in Virginia for a short period of time. Marcy loved the outdoors and picking flowers/weeds for making arrangements, wreaths or other decorations. She was always cleaning something, whether at home or when visiting family, and was quick to let you know when you were not cleaning properly. She got to spend a week in the fall of 2018 in the Great Smoky Mountains with a large group of family and friends, one of her dream vacations. She will be greatly missed. A celebration of life event has been planned for Sunday, March 10, 2019 at the Mount Hope House located at 2868 Hamburg Michael Rd, Michael, IL 62065. The celebration will be from 12:00 PM to 4:00 PM. In lieu of flowers, please feel free to make donations to the Jerseyville Public Library in Marcy’s name. Donations may be submitted in person or via mail sent to Jerseyville Public Library, 105 Liberty, Jerseyville, IL, 62052.